Thanks to a friend’s recommendation, MP and CP#2 decided to check out Pitter Patter, Inc. — a children’s specialty shop in Bath. 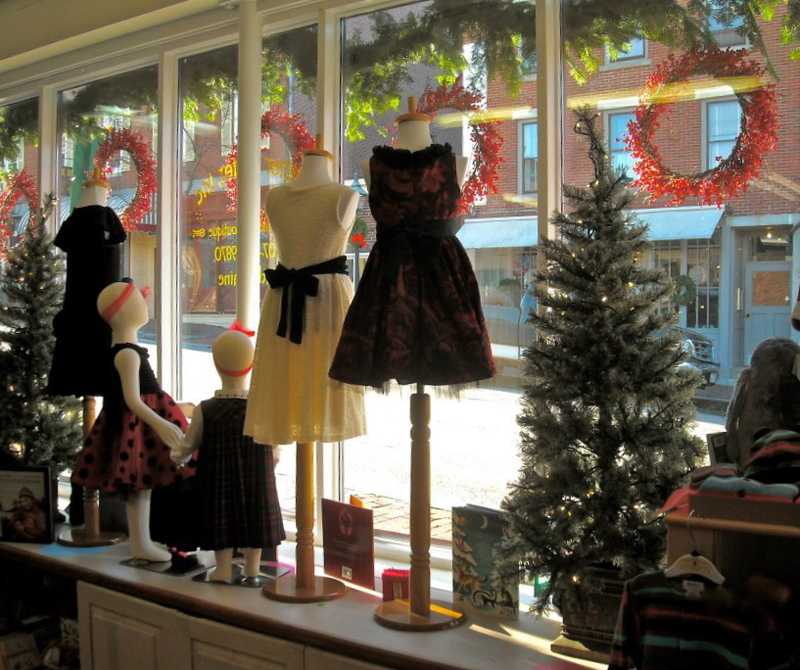 The inviting store window on Front Street. Shop owner Colleen Whitaker made us feel right at home. CP#2 was hot on the toy trail, so Colleen invited him to play with a building set while MP browsed. There’s a lot to love at Pitter Patter, but MP was especially impressed with the Maine made items, like the vintage, silver-plated baby spoons from Tunkables in Freeport. 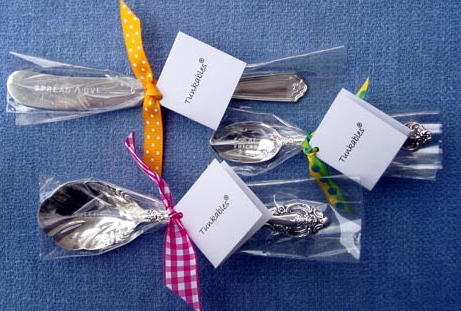 Tunkables baby spoons are engraved with terms of endearment like sweet pea or pumpkin. 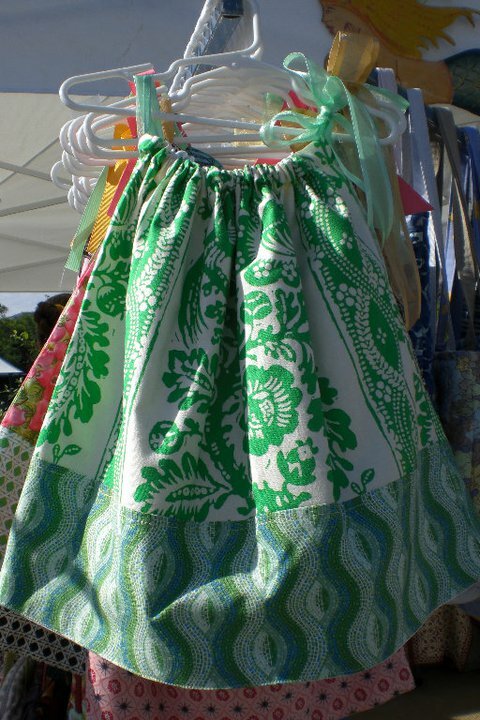 MP also loved the pretty pillowcase dresses from Hampden’s Mermaid Girl Stitchery. MP adores this gorgeous green dress… such great fabric! 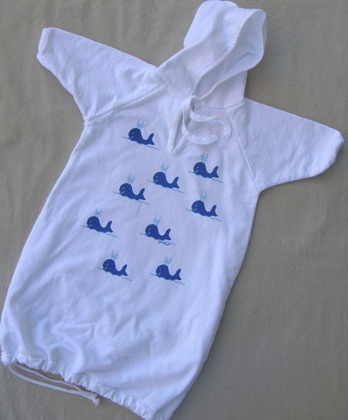 Pitter Patter also carries Gambies—soft, cotton baby buntings with silk-screened designs. 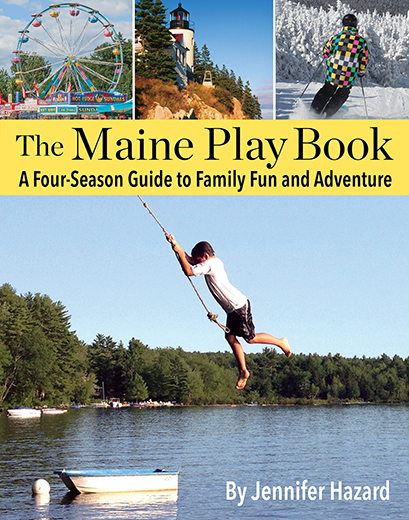 By simply pulling out the drawstring, the bunting coverts into a cozy child-size coverup. A preppy, 80’s inspired whale print from Gambies. During all of this shopping, CP#2 continued to play happily on the rug nearby (where Colleen keeps a basket of creative toys). MP can’t wait to return again soon. PS: Pitter Patter also offers complimentary gift wrap. Love that! FMI: Visit Pitter Patter on Facebook.